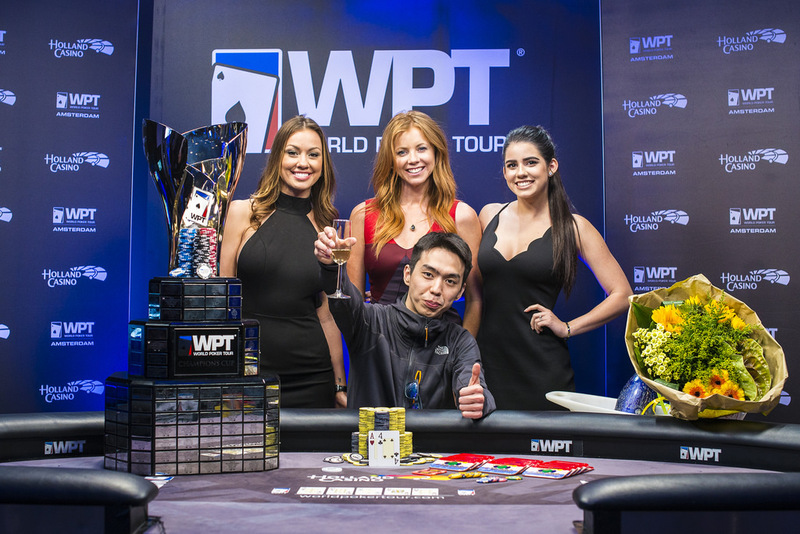 Daniel Daniyar has beaten British pro Louis Salter heads-up to win WPT Amsterdam for €152,600. The next WPT event is WPTDeepstacks on the French Riviera starting May 30 when WPTDeepStacks teams up with PMU.fr for WPTDeepStacks Cannes at Le Croisette Casino Barriere. Coming into the day second in chips, Daniyar eliminated four of his five opponents, including runner-up Louis Salter after a see-saw heads-up match which saw both players hold commanding chip-leads. Salter snagged €106,710 for his runner-up finish, just shy of his previous best cash of €124,560 when he won the Eureka Prague High Roller in 2014. Salter now has over $1m in live tournament winnings – but is still $5m behind older brother Jack in total career earnings. PokerStars Championship and WPT MonteDam Swing winner Andreas Klatt bust in tenth place for €13,435 – along with a PokerStars Championship Barcelona Main Event package worth €7,500. The PokerStars Championship Barcelona Main Event takes place August 21-27. WPT Travel “frequent flyer” Shyngis Satubayev, who was chip leader at the start of Day 3, finished fourth for a career-best cash of $43,475. He has had a great month: seventh place in the WPT Amsterdam High Roller for €17,915 and also a €14,100 cash in a €5k NL Turbo at PokerStars Monte Carlo earlier this month. Bridge champion Jan Jansma was third for €65,570 while fellow Dutchman Jorn Walthus, one of Holland’s best known players with over $725k in live tournament winnings, was fifth for €30,800.